In today’s media-saturated world, it’s never been easier for businesses to get their message out to a wide audience. At the same time, the proliferation of voices and platforms has made it harder than ever to capture and hold that audience’s attention. For some industries, the challenge goes beyond merely standing out from the crowd. The 2008 financial crisis led to a significant loss of audience trust in the financial sector. Online messaging that speaks with the corporate voice of authority isn’t going to have the same impact on potential financial services customers that it might have had in decades past. One approach that many companies are finding effective is employee advocacy—letting your employees, through their own unique voices and perspectives, promote the company on social media. An employee advocacy approach can help personalize a company’s image, reach new audiences, and build loyalty and rapport. Advocacy posts reinforce your brand and domain expertise, and can be utilized as an internal communication channel that fosters stronger employee engagement. 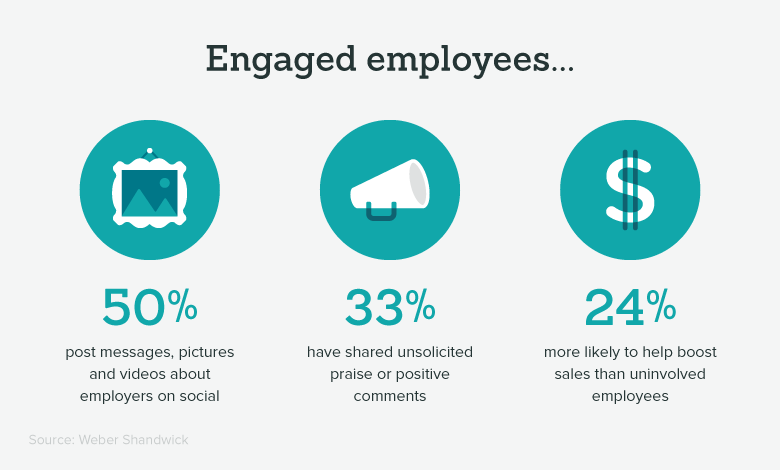 Why bother with employee advocacy campaigns? Why not just take the simple, direct route of buying ads and sponsored content? Internet users are savvier than ever. Audiences have developed powerful instincts when it comes to identifying advertising, and tuning it out. Individualized content that reflects the poster’s actual feelings and opinions can bypass those automated mental defenses, and reach even the most jaded readers. Let’s take the example of Capco, a business and technology consulting firm. In 2017, Capco ran its first global brand and recruitment campaign, with a goal of recruiting new talent. For this campaign, their KPI was the number of new applicants they pulled in. The methodology of the campaign was to distribute identical content across LinkedIn, Facebook, and Twitter. Half of it was organic content, and the other half was paid advertising. Then, they compared the results from both campaigns. The paid campaign had a 3.93% conversion rate. The organic campaign? 51.7%. Content shared organically by Capco employees was more than twelve times as effective as the paid advertisements. For companies in heavily regulated industries like finance, there are more potential complications to factor. According to a recent study by Putnam Social Advisors, 64% of financial advisors report that they avoid posting on social media due to compliance concerns. The last step is an important one. Social media moves fast, and a poorly-worded or problematic post can get spread to a huge audience in a matter of moments. It’s not enough to delete an offending post and expect the internet to move on. You must have a protocol to let you regain control of your own messaging. A good crisis protocol should involve: monitoring through social media listening tools; reviewing and assessing posts that garner undesirable reactions; responding to questions or criticisms as needed; and finally, resuming a monitoring stance and restoring normal activities. If you’re ready to launch an employee advocacy program, here are the steps you can take to set your program up to succeed. There’s no reason to go in with a shoot-from-the-hip plan for sharing and posting content, when so many aspects of optimizing engagement is already a solved problem. Your content strategy should be based around the three E’s: Educate, Enlighten, and Entertain your readers. Content should align with employee preferences—after all, their genuine sincerity and enthusiasm is the magic ingredient. It’s also a good idea to stick to the 4-1-1 rule: for every one self-promoting post you make to a social media platform, you should repost one relevant post and share four links to content written by others. This helps readers see your social media presence as a source for thought leadership and interesting articles, not just a 24/7 sales pitch. Also, segment your content by topic categories to make it easier for readers to find content that’s most relevant to their interests. Don’t forget to include rich media—audio or video. Posts with rich media content typically generate four times the engagement as posts that have none. Who is going to lead your employee advocacy campaign? 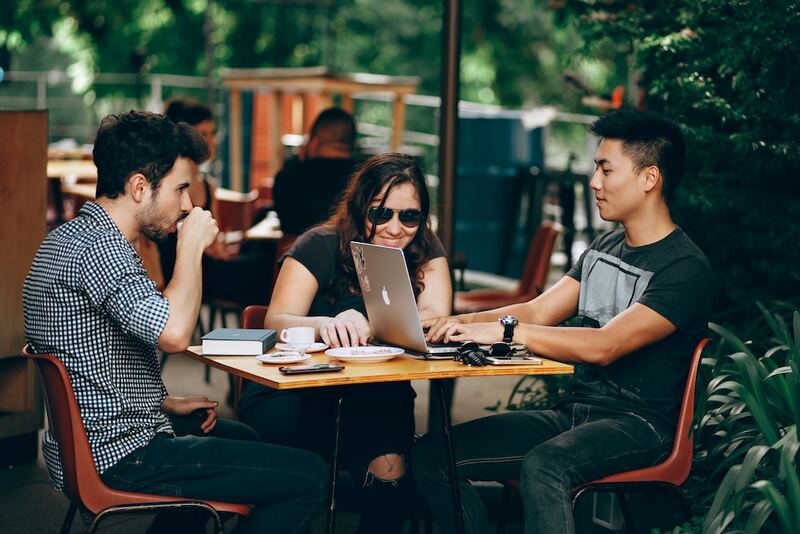 Start with the digital natives in your workforce who feel the most at home participating, sharing, and engaging on social media—the “social enthusiasts”. They’re the ones who have already internalized many of the rules of creating engaging social media content, and they’re not shy about putting it out there. They’re your vanguard—but don’t stop there. A strong employee advocacy campaign can’t solely rest on the backs of the employees who are already champing at the bit to start posting. Employees in customer-facing departments also need to be drafted. They’re the ones your customers are already engaging with, who may already have a known online or public presence. As such, they may already have built some trust and goodwill with people engaging with your brand online, which makes them excellent messengers. Lastly, and perhaps most importantly, is getting the C-suite executives involved. Their participation sets an example for everyone else in your company. Executive statements on certain topics will carry more weight with a general readership. An employee advocacy campaign that doesn’t include the executive tier is leaving some of its most potentially influential voices on the table. Employees who aren’t in the “social enthusiasts” group may balk at becoming brand ambassadors for your company online. The last thing you want is a campaign that feels forced or canned. The best way to generate real employee motivation on the project is to clearly demonstrate the value that these campaigns can bring to their careers and reputation. By serving as prominent voices in an educational and attention-grabbing social media campaign, employees can gain engagement and following that can be developed into a thought leadership platform. On a less ambitious scale, their participation will help create professional networking opportunities that can help them grow their careers. Your first employee advocacy campaign doesn’t have to be a huge-scale undertaking where you’re playing for all the marbles. A small pilot program can be a very effective way to test out your team’s social media acumen, see what strikes a chord with your audience, and what falls flat. 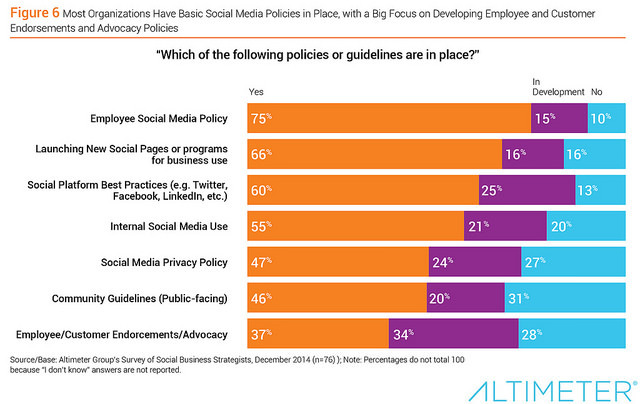 For your initial foray into employee advocacy, you’ll want to provide employees with training and best practices for their social media activities, establish compliance policies, and solicit employee feedback at every step. As your pilot program progresses, you need to track its progress, along the relevant performance indicators. With this data, you can do a full review at the program’s end to evaluate its effectiveness, and determine what changes to make as you plan out the next campaign. You’ll want to be able to demonstrate positive results from your pilot program in order to get full support for employee advocacy campaigns at the highest levels of your company — including, hopefully, the participation of the C-suite execs in your next campaign. You should be able to present your KPIs in a report that shows a positive ROI resulting from the employee advocacy program. If they don’t, it’s possible that the details of the program need tweaking. It’s also important to make sure that the KPIs you’re measuring are the most relevant and appropriate ones for the goals your program was attempting to achieve. It’s often helpful to think of employee advocacy in terms of discrete, goal-oriented campaigns for the purposes of measuring their effectiveness, and the value they provide to the company. However, it’s best to think of it as a continuous, ongoing process rather than a singular, time-delimited project. Keep your team ready for the next campaign—whenever it might launch—by incentivizing and encouraging employee engagement, holding regular social media training sessions, and seeking employee feedback. At the same time, keep measuring results, and optimizing procedures and strategies, as the social media landscape shifts and new information comes in. With these strategies, you’ll be able to put the powerful tool of employee advocacy to work benefiting your business.